This testimony is from an ex-Adventist. Names and places have been removed for privacy, paragraph spacing inserted for easy reading. Good morning and thank you for your work. I too am an ex-Adventist who feels the need to counter the accusations and attacks on the Catholic faith by the Adventist church. It has taken years to recover from the spiritual abuse of Adventism. I was shocked to find out that nothing I had learned as an SDA about Catholics was true. Not one thing! I had spend the better part of my formative years having nightmares about Catholics murdering my family and my running as they were pursuing me to kill me as well. The images of my mother, brother and sisters laying in pools of blood will remain permanently engraved in my memory. I left the SDA church when I was 19. I spent some time in the LDS church, I loved their family values. Fortunately, I knew too much about sacred scripture to buy the Book of Mormon, Pearl of Great Price and the other “scriptures” also used in the LDS church. From there I looked into the Assembly of God, way too charismatic and dogmatic for me. I looked into the Baptist church, better, but it felt like they were just Sunday going Adventist’s. I studied with the Jehovah’s witnesses and that was so far out I couldn’t believe anyone would fall for them or their counterfeit bible. Next came the journey through the more mainline Protestant denominations, Methodist’s, too benign after Adventism, Presbyterian and Church of God, too much like jack Adventist’s. Then came the one that ultimately brought me into the Catholic faith. My mother by now had divorced again and remarried a wonderful man. Both being sick of the spiritual abuse of the SDA church had found their way into the Episcopal Church. It really was the logical place for them, my Mother is a fallen away Catholic. She couldn’t see herself back in the Catholic Church but missed the tradition and high mass that she had enjoyed as a child growing up in a convent school in the south of France. I followed my mother into the Episcopal Church and loved it. We had great music, homilies, fellowship and religious instruction. After several years and the baptism of all my babies and my husband into the Episcopal Church, it was suggested that perhaps it was time for me to be confirmed. I was thrilled at the thought of completing my journey into this wonderful faith community. The priest’s wife was my best friend and we started attending the confirmation classes together. It was in these classes that I realized that I was in the wrong faith. One session we were discussing church history. I asked what the origin of the Episcopal Church was. He explained that we were in communion with the Anglican Church. I asked the origin of that church. He very matter of factly told us that up until the reformation there was only one faith and that was the Catholic faith. He went on to state that his church was really not a church of the reformation but came about because Henry the 8th wanted a divorce and the church wouldn’t let him, so he broke away from the Catholic Church and became the head of his own church. Boy was I floored. I was happily married with three beautiful babies and could not believe I was joining the divorce church. I finished the classes and went through with confirmation. I had a spiritual battle going on in my head and heart. I loved my church and all my Episcopal friends, but if the Catholic Church was the only church for the first 1500 years of Christianity, shouldn’t I be part of that church? Of coarse I still had all the old fears instilled in me from my childhood. I met a wonderful woman who really was the kind of Christian that I was trying to be. She was Catholic. I was a little surprised to see her love for the Lord, after, Catholics did not use the bible or profess a personal relationship with Jesus Christ. With great fear I entered St. [saint name] Church one fall morning. I did like the others and dipped my finger into the font at the entrance and made the sign of the cross. My heart was racing and screaming “Yes” while my head was screaming ” they put Mary on the stained glass window standing next to Jesus, what are you doing?” I knelt in the pew and started to pray one of the most schizophrenic prayers I have ever uttered. I knew I was home. I knew the second I walked in that door that I was created for this, but I was sooooooooo scared. As I went through RCIA and did my own private study of the faith, I suffered the gammut of emotions. Why was I finding out at thirty five that the bible was a Catholic document? Why were we never taught the origin of this Holy book that we so shamelessly used against the Catholics? Why didn’t I see before that all versed needed to be taught in light of it’s context? Why wasn’t I taught that the Catholic Church had been around since the time of Christ. Why was I taught that they thought we deserved to die for our belief in the Sabbath? So many questions. No good answers. Thank the Lord I found the Church of the Apostles. What a joy and a gift our faith is. I finally found a Father that I could love. I finally appreciate the cross not for what it did for me, but because of who that victim is, MY LORD! I did not see couple of things on the Sabbath on this web site. Perhaps I overlooked them but it not, here you go. Number one, If we are saved by faith or grace or both, the Sabbath is a non issue. If Sabbath were an issue, we would be saved by works alone since their faith hinges so strongly on this belief. Second, No where in sacred scripture or in early Christian writings do we find were Gentiles were bound by the Mosaic Laws. Some tried to impose circumcision on the Gentile converts, but Peter put a stop to that in acts at the Council of Jerusalem. They only imposed some dietary and behavior rules, not Mosaic Laws. Since the Jewish laws never have applied to us, who then is E.G White to override the apostles and impose them on everyone? The answer is, she is a fraud so is her church. It feels so good to tell my story. I like in Adventistville, Walla Walla. I take religious abuse constantly here. We have alot of them working at our Catholic hospital. They are so flip, disrespectful and nasty when the subject of the Catholic faith comes up. Only one, a fellow RN has shown true Christian charity on the subject. He is a model of Christian love. I feel blessed to know him as he has helped me to overcome the extreme dislike of SDA’s that I have harbored since my teen years. 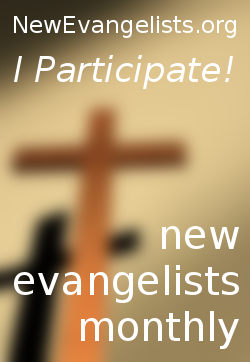 I would like to sponsor others who are leaving the SDA church and would like to join the Catholic faith. I pray that God will use me for his work.